The following table displays data sets relating to Sediments. The relevant publications and/or news item can be found below. When using these data please cite the relevant publication. Dutkiewicz et al. (2017) Passive margin distance, sediment thickness and sedimentation rate grids Link to data The source contains jupyter notebooks and digital grids that help in predicting sediment thickness on vanished ocean crust since 200 Ma Dutkiewicz, A., Müller, R.D., Wang, X., O’Callaghan, S., Cannon, J., Wright, N.M., 2017. 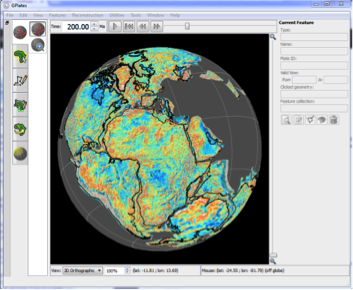 Predicting sediment thickness on vanished ocean crust since 200 Ma. Geochemistry, Geophysics, Geosystems, 18, 4586–4603. Dutkiewicz et al. (2015) Seafloor lithology of the ocean basins Link to data The dataset presents the first digital map of seafloor lithologies based on descriptions of nearly 14,500 samples from original cruise reports, interpolated using a support vector machine algorithm. Dutkiewicz, A., Müller, R. D., O’Callaghan, S., & Jónasson, H. (2015). 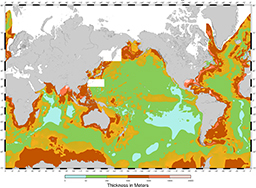 Census of seafloor sediments in the world’s ocean. Geology, G36883-1. doi: 10.1130/G36883.1. Whittaker et al. (2013) Total sediment thickness of the World’s Oceans & Marginal Seas Link to data NGDC’s global ocean sediment thickness grid (Divins, 2003) has been updated for the Australian-Antarctic region (60°-155°E, 30°-70°S). New seismic reflection and refraction data have been used to add detail to the conjugate Australian and Antarctic margins and intervening ocean floor where previously regional sediment thickness patterns were poorly known. Whittaker, J. M., Goncharov, A., Williams, S. E., Müller, R. D., & Leitchenkov, G. (2013). 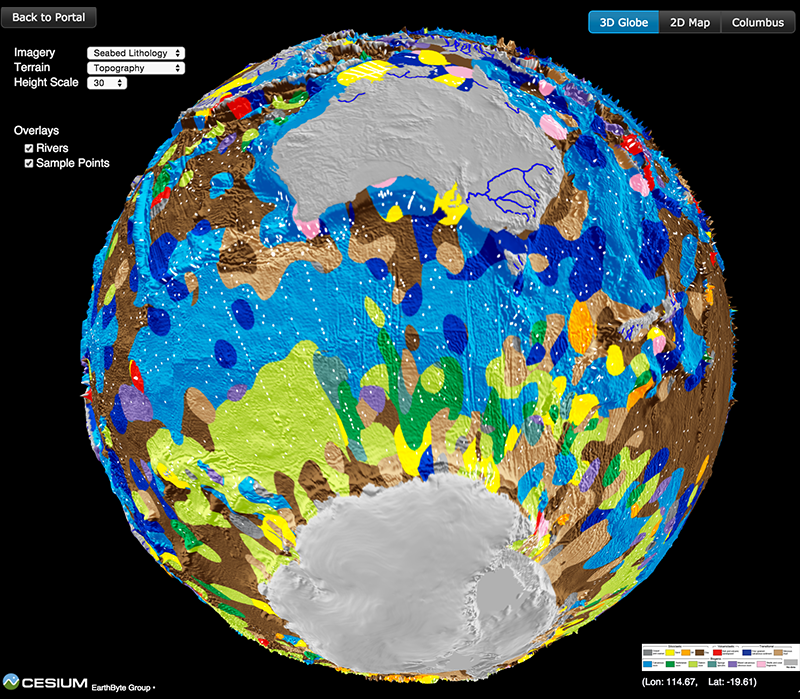 Global sediment thickness data set updated for the Australian‐Antarctic Southern Ocean. Geochemistry, Geophysics, Geosystems, 14(8), 3297-3305. doi: 10.1002/ggge.20181. Heine and Muller (2008) IntraCONtinental basinS (ICONS) atlas Link to data The ICONS atlas is a collection of basin data for over 240 intracontinental sedimentary basins, displaying crustal structure data, computed extension factors and tectonic subsidence grids and derivatives thereof as well as the dynamic topography evolution of a given basin. Heine, Christian & Muller, Dietmar. (2008). The IntraCONtinental basinS (ICONS) atlasâ€”Applications in eastern Australia. 275-290.